Dr. Wheeler is providing a much needed update on the topic of critical care medicine for the pediatrician. He organized the issue to give a full overview on those topics that most pertinent to practicing clinicians. 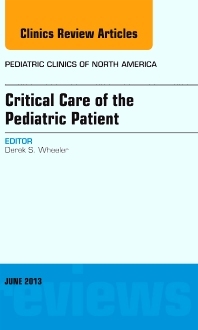 His authors are top experts in their fields, and they are writing clinical reviews devoted to The Evolving Model of Pediatric Critical Care, The High Reliability Pediatric Intensive Care Unit, Telemedicine and the Pediatric Intensive Care Unit, Resuscitation and Stabilization of the Critically Ill Child, Monitoring and Management of Acute Respiratory Failure, Monitoring and Management of Shock, Cardiac Intensive Care, Monitoring and Management of Acute Kidney Injury, Critical Care of the Bone Marrow Transplant Patient, Neurocritical Care, Ethics and End-of-Life Care, Delirium in the Pediatric Intensive Care Unit, and Family-centered Care in the Pediatric Intensive Care Unit.